Star Pin keeps you safe. Change your Pin anytime. No Creeps, No Bullies, No Spam! Safe for Kids. No more BORING grey text messages. 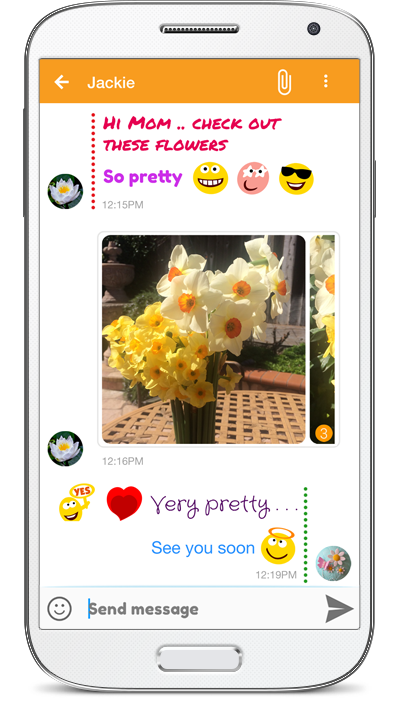 Send Fun, Colorful Messages with Custom styles. No Phone Number or Address Book upload. Works on iOS and Android devices. Express better with brand NEW Emoticons only on STARS. Send Photo sets, or say Hello with Audio or Video messages. Messaging has become a very important way for us to keep in touch with our loved ones. Over 20B messages are sent each day over SMS and various other services. Unfortunately, there is a dark side of Messaging! Cyberbullying, Grooming, Spamming and Noise are very real, and have become and unfortunate part and parcel of these services. Once your identity, a phone number or username, is discovered by these negative elements, there is no way for you to control who is going to communicate you. Ultimately, you have to go thru the painful process of changing your phone number or username, only to be exposed to the same problems again. As a parent, I was just not willing to expose kids to these problems, and thus Stars was born! 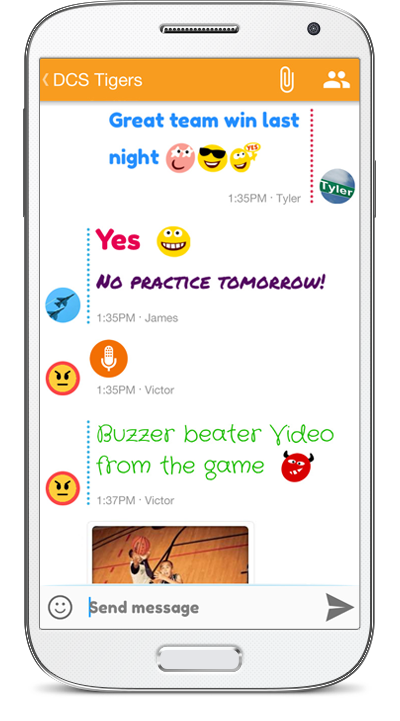 To make the most personal communication channel, Messaging, Personal and Safe for kids and adults. And BTW, Who likes boring Black and Grey text in messages? Nobody! They are like old Black and White TV’s .. LOL! We are pushing what a message looks like, and what it can do. Welcome to the World of Private, Fun Messaging - Welcome to Stars! We are just getting started, and we hope you Join us! On all messaging services, once your username or phone number is discovered, anyone can add you or message you. Also, on most services, people can simply search you and start a conversation. With Stars, you need both the username and Star Pin to add anyone, and the Star Pin can be changed anytime. In addition, there is no search on Stars. You simply cannot search or find a username and start messaging with anyone on Stars. With a changeable Star Pin and No Search, you are always in control on who can connect with you on Stars. Stars is fun with friends and family. 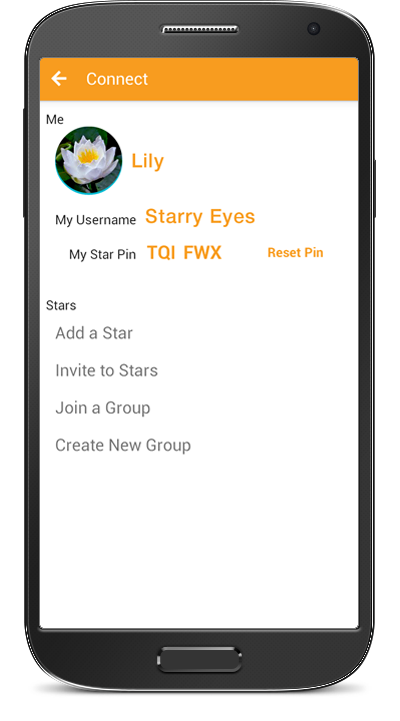 To get started, invite them to download Stars and add you on Stars. 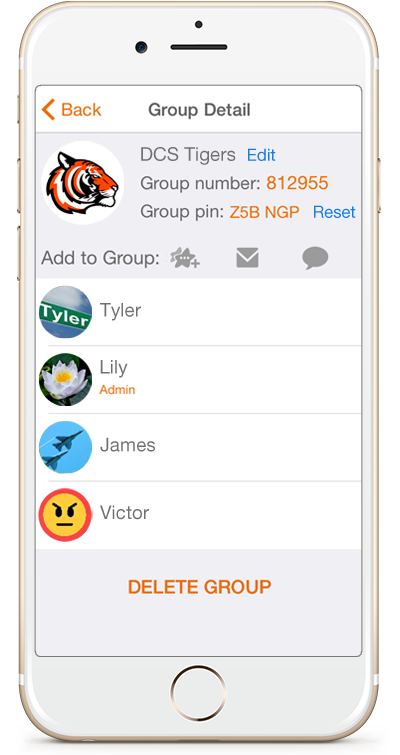 You can also create a group and ask them to join your group using the group number and pin. Once they accept the add request, you will be able to message with them. If you ever get an add request from anyone you don't know, or do not wish to communicate with, simply reset your Star Pin, and they will not be able send another request to you. Changing Star Pin does not block existing friends on Stars. They can continue messaging you. Only new friend requests will need the new Star Pin. Just send people the group number and group pin via email or SMS. After installing Stars, they can self join your group.